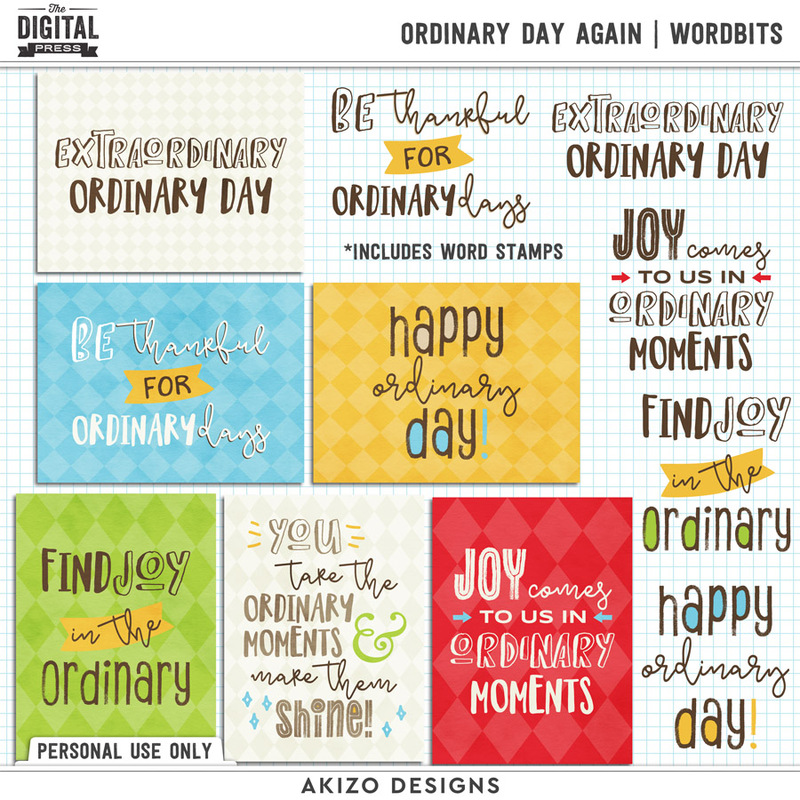 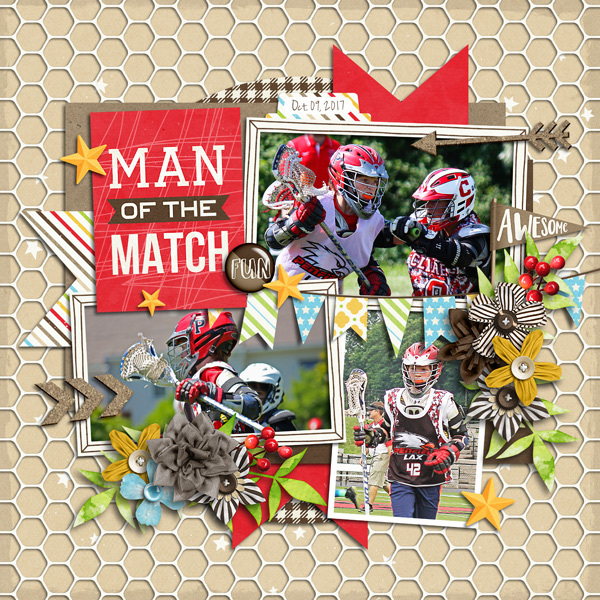 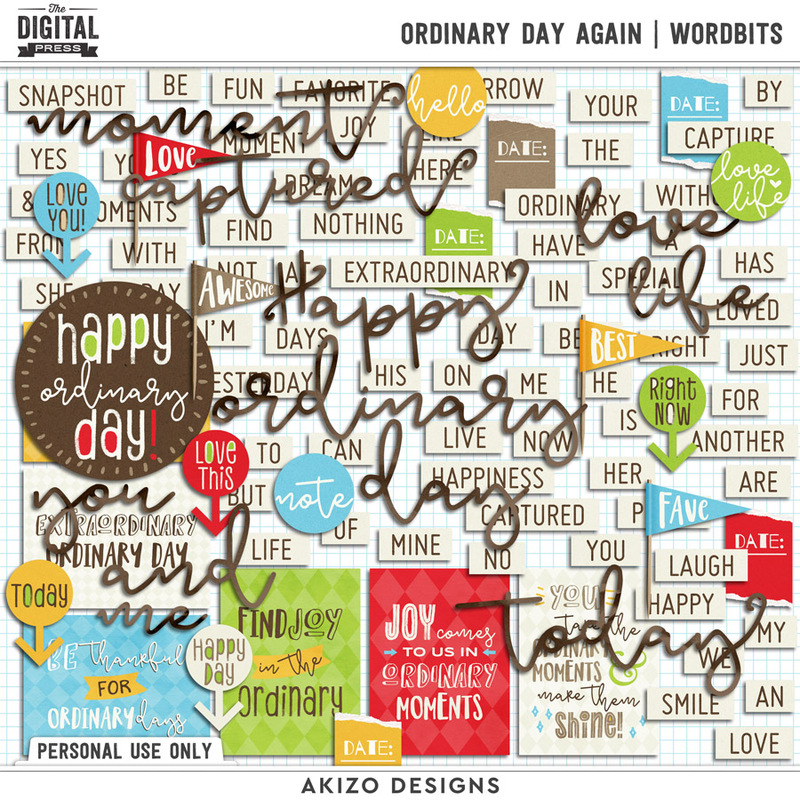 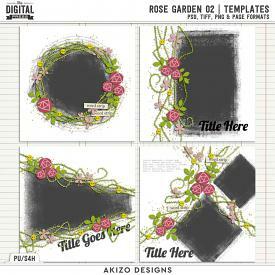 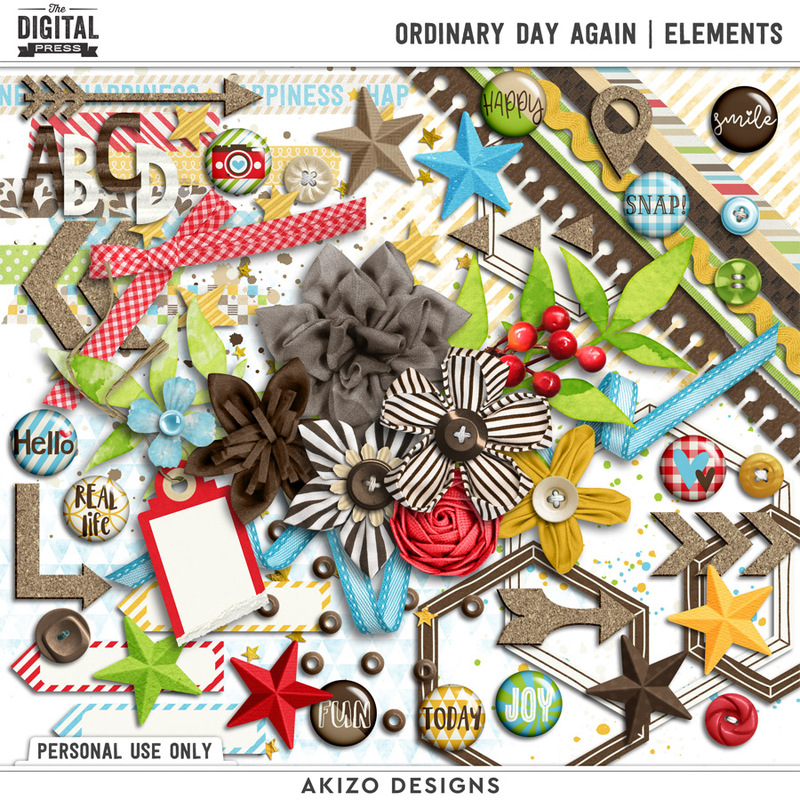 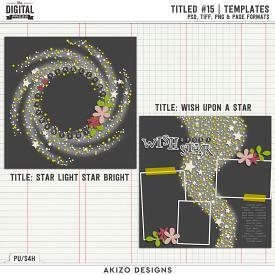 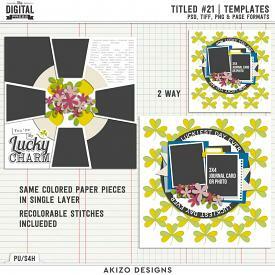 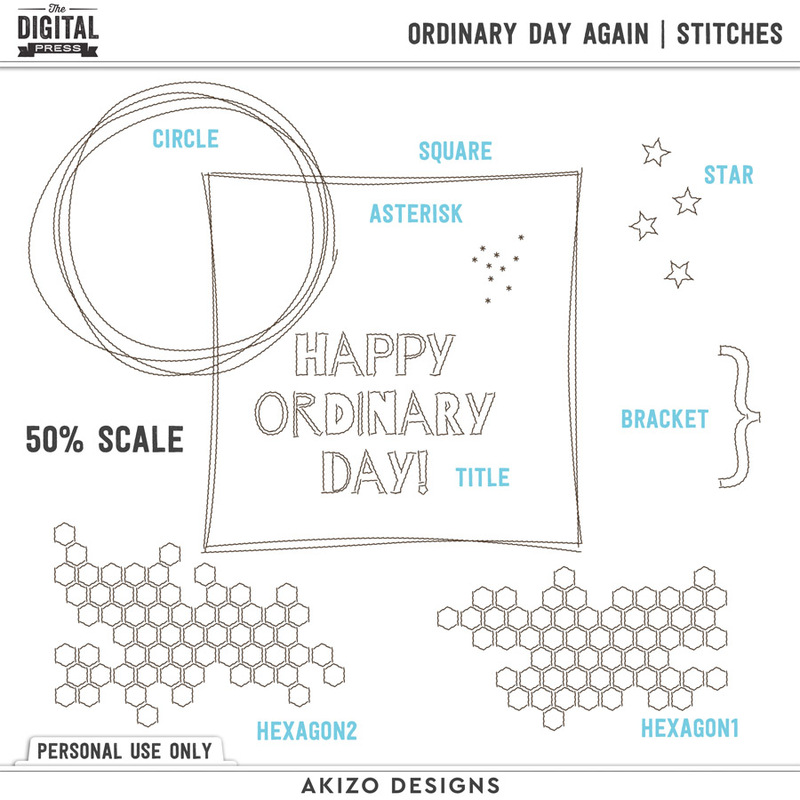 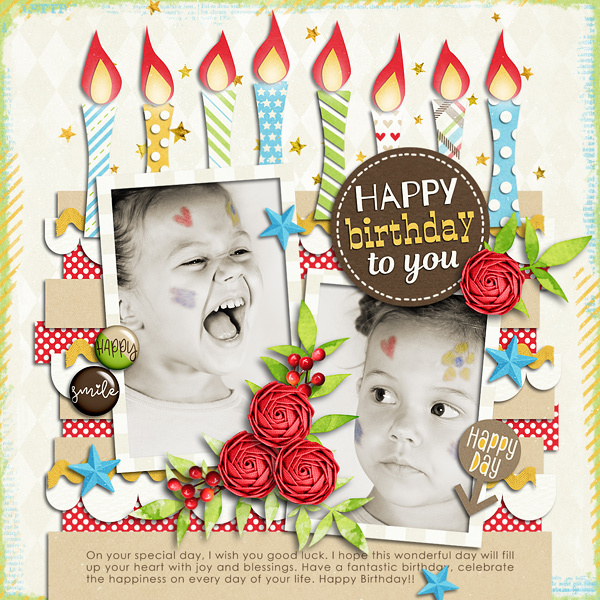 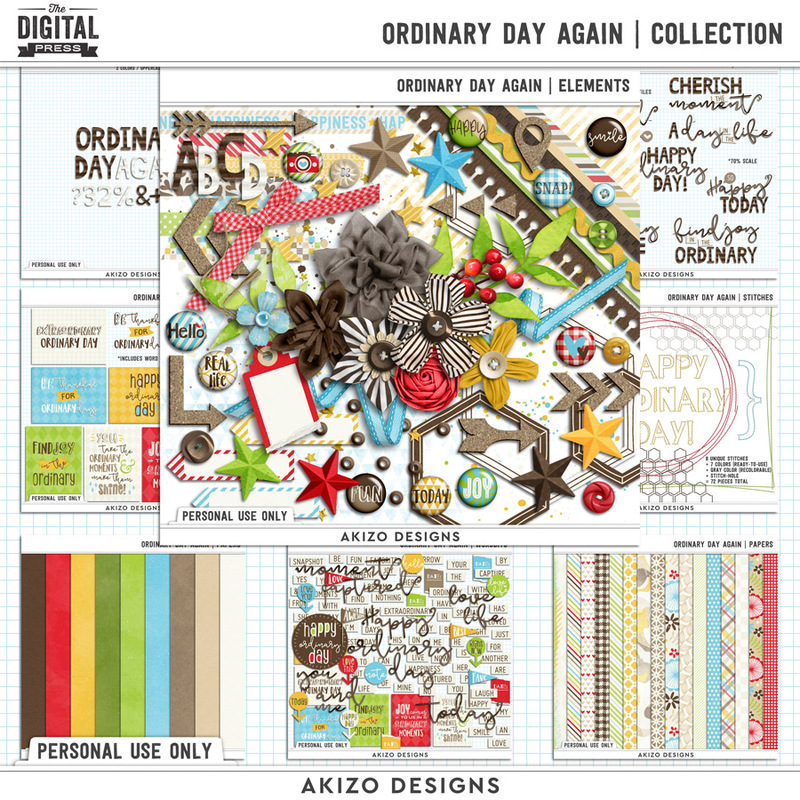 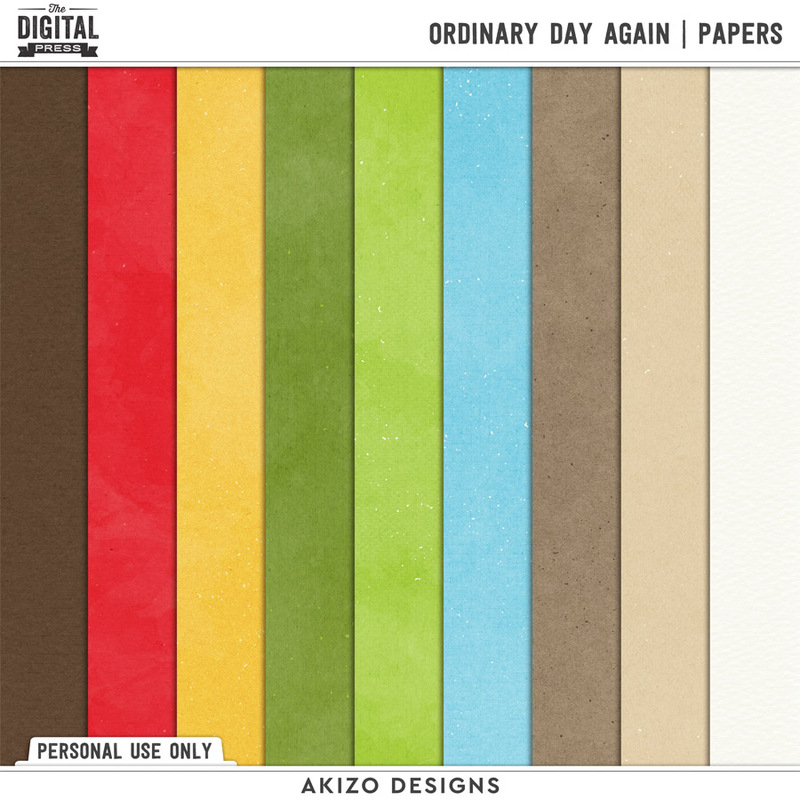 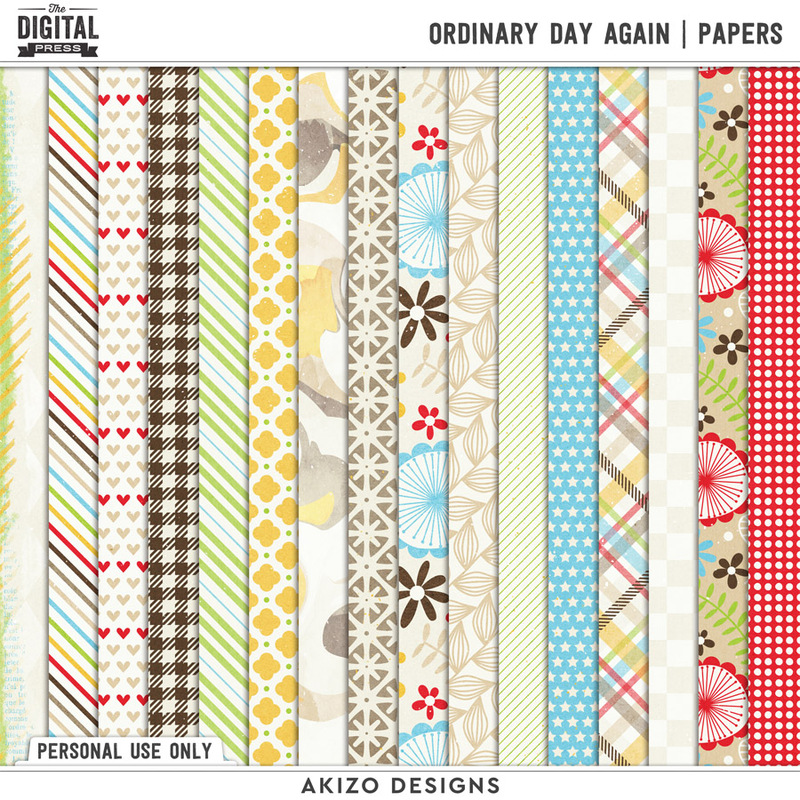 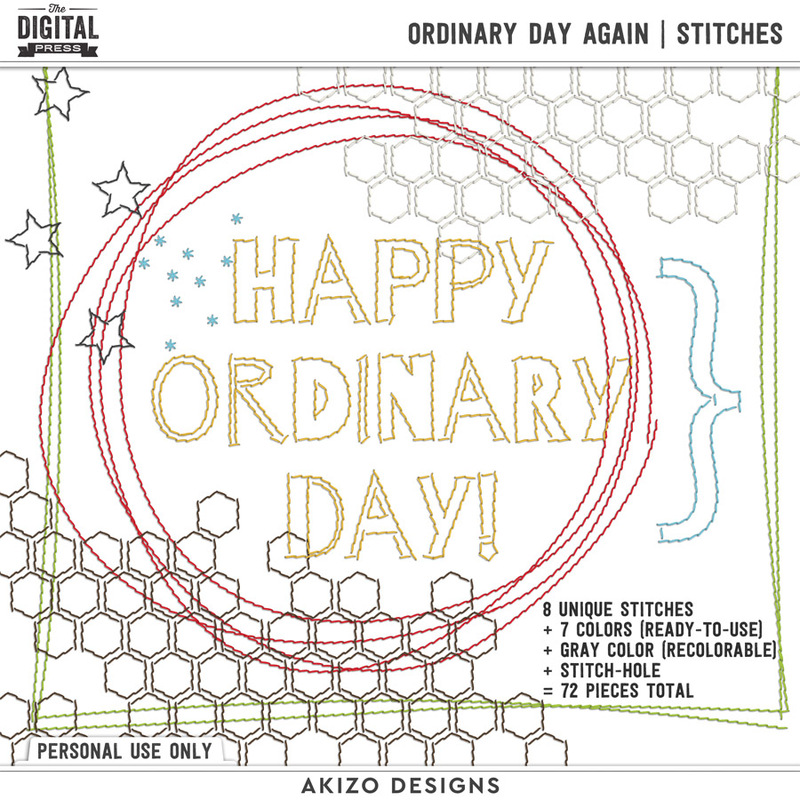 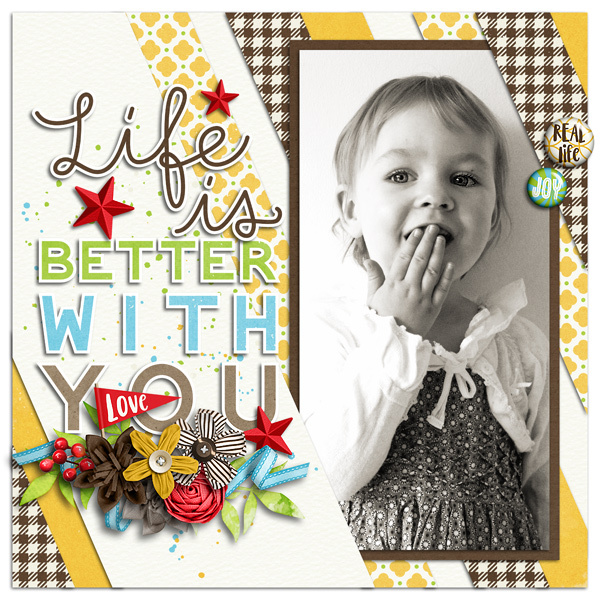 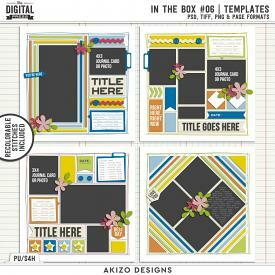 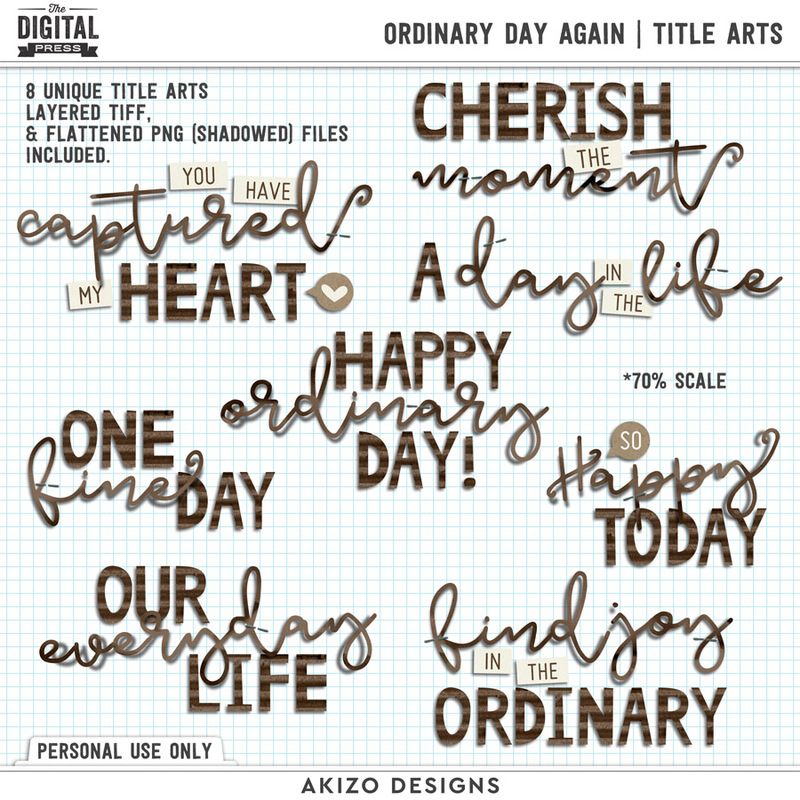 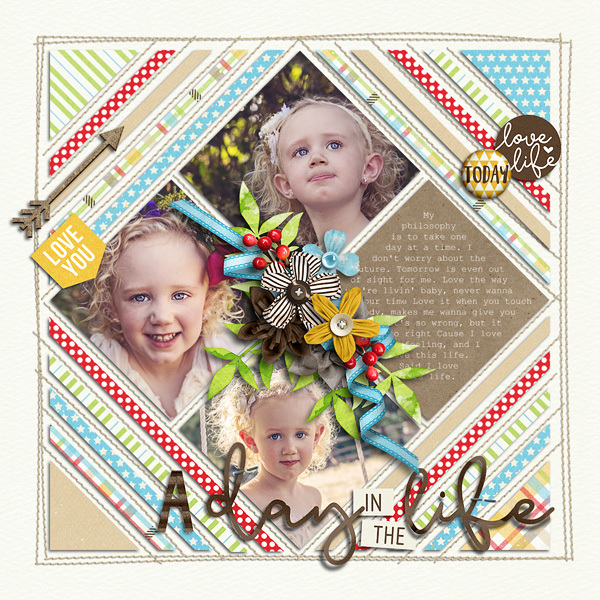 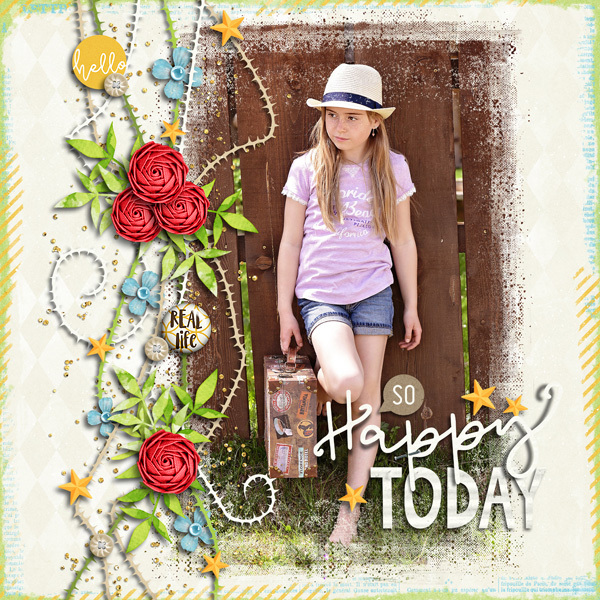 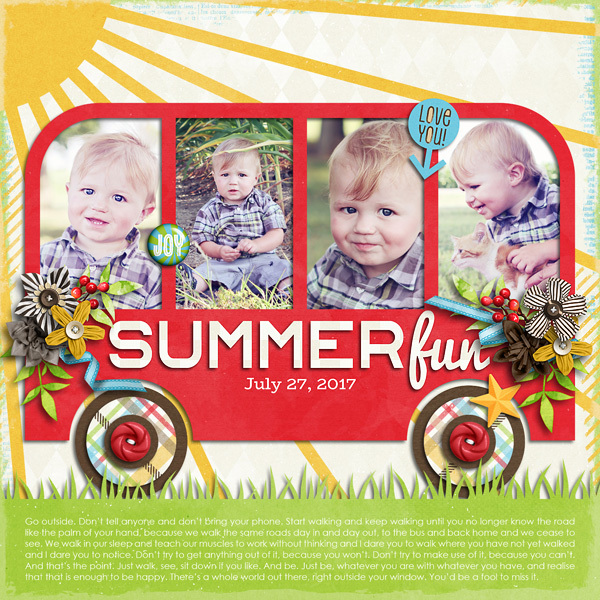 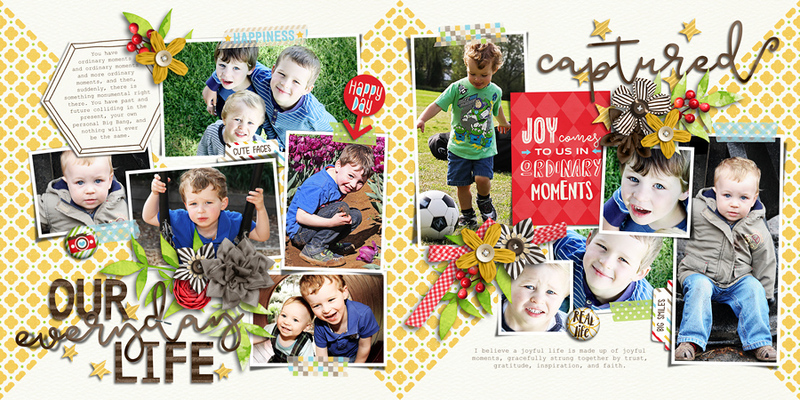 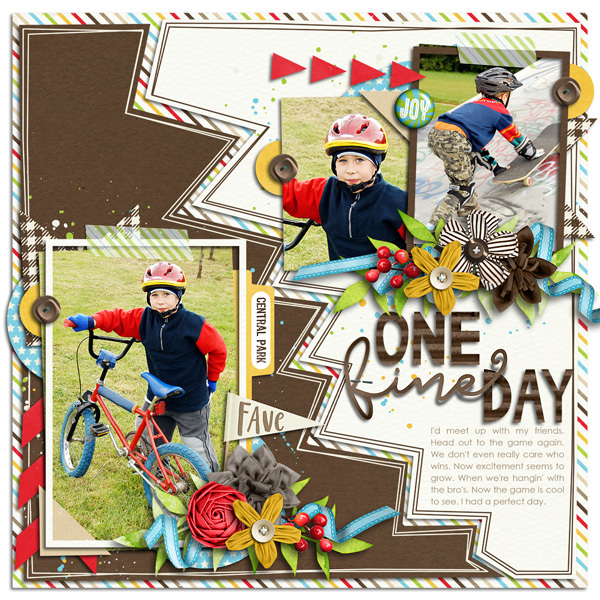 Ordinary Day Again | Collection by Akizo Designs For Digital Scrapbooking. 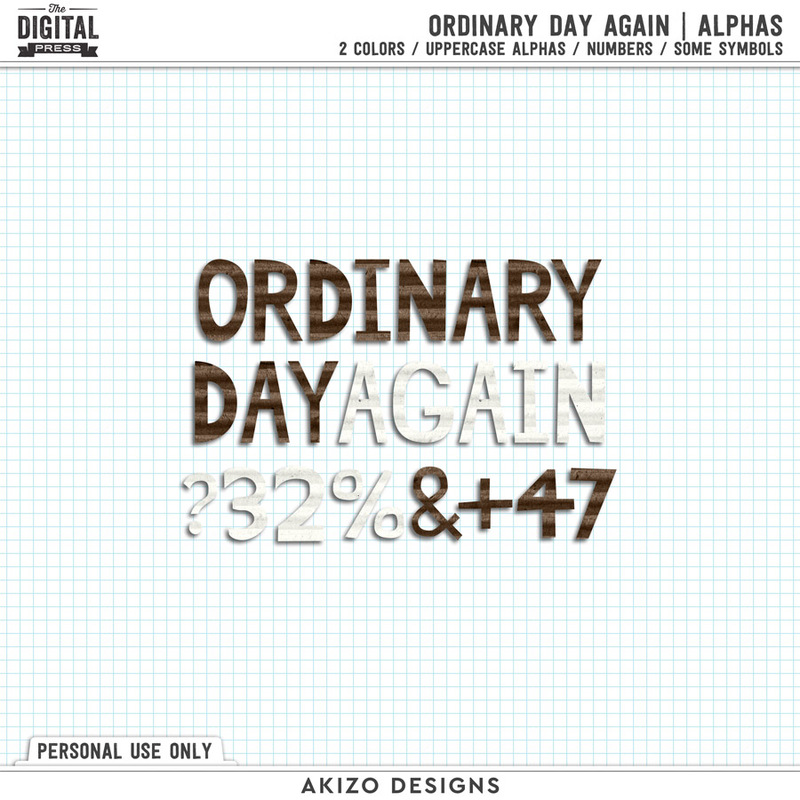 And Ordinary Day | Collection is a sister product. 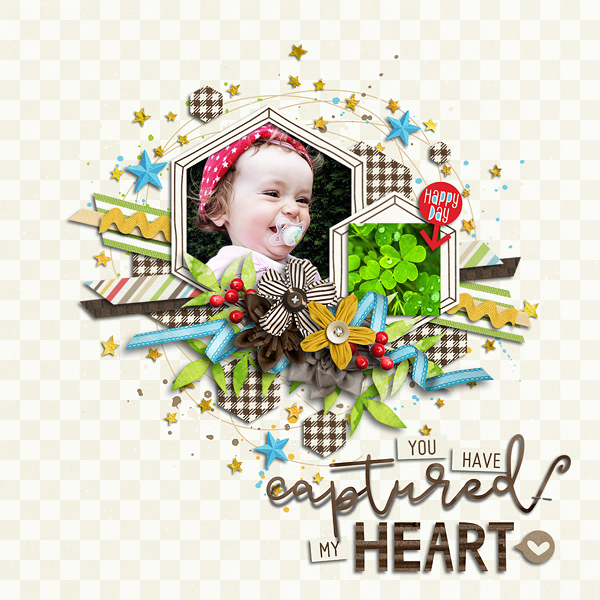 Both Layered TIFF, Flattened PNG (shadowed) files included.